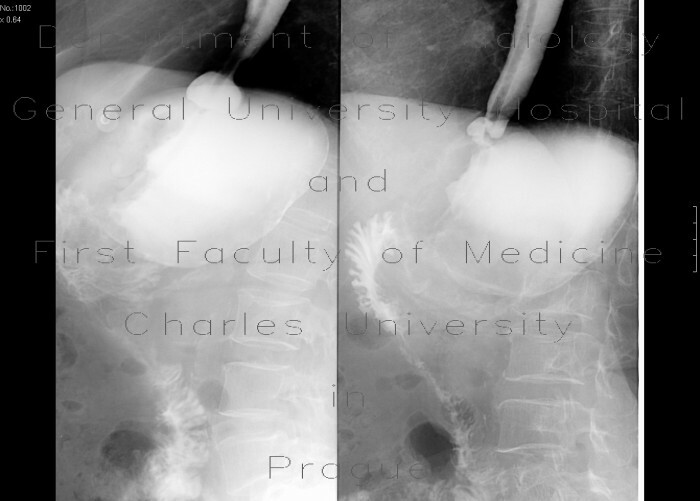 Stomach after resection of antrum and distal body. Contrast fills only the efferent loop. Small hiatal hernia.